Computer Music takes a closer look at Cubase 5: pitch functions, virtual MIDI keyboard, automation panel, VST Expression, batch export, dissolving MIDI, revised MIDI plug-ins and more tested! Our own copy of Cubase 5 turned up this week, and we wasted no time in cracking the package open. Here we go with the installation procedure - best get the kettle on, as we'll be opting for the full install. 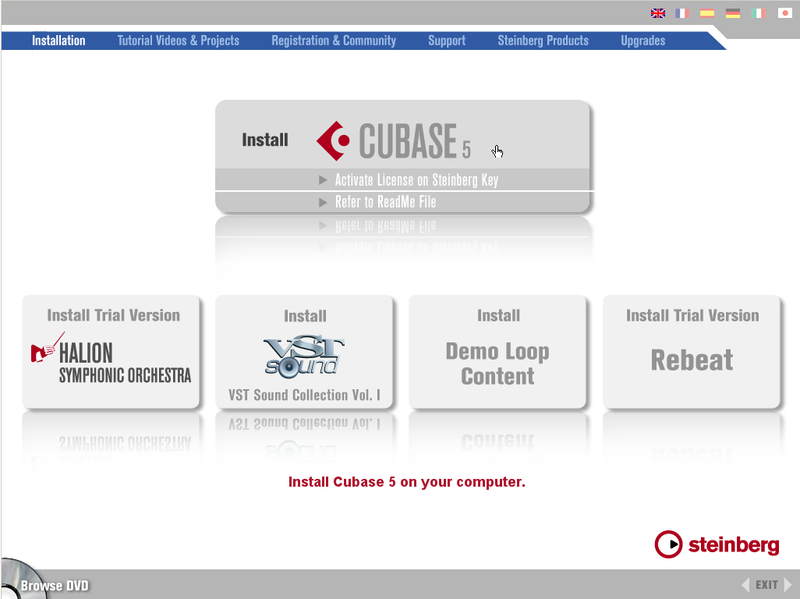 Come to think of it, the install screen is looking a bit swisher than the one we remember from Cubase 4. 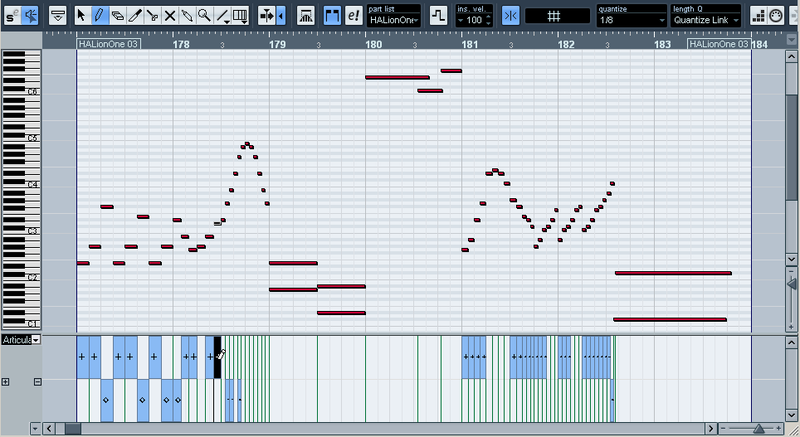 There's been quite some fanfare made over the new pitch-manipulating functionality of Cubase 5, and rightly so. Most immediately impressive is the VariAudio system for MIDI-style editing of monophonic audio that's built into Cubase 5's Sample Editor. We had a quick go, and it's certainly slickly implemented and simplicity itself to use. , too, that's "based on the acclaimed Yamaha Pitch Fix technology". It's called PitchCorrect and offers real-time AutoTune-style capabilities. PitchCorrect is simple enough to use - you can set the notes to be snapped to by picking a scale from the list; setting a scale yourself; or by using incoming MIDI notes/chords to determine a target note/scale. Setting the Speed to maximum results in the characteristic T-Pain-esque uber-tune effect, although for 'normal' use, you'll set it much lower. There are controls for transposing and shifting formants, too. 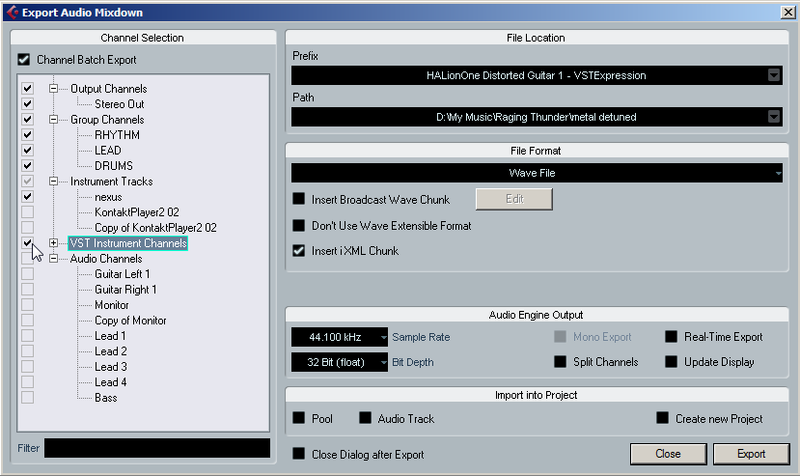 - Manual editing using VariAudio. Note that the pitch and timing have both been edited. Here's a neat addition that took us by surprise: a virtual keyboard that pops out of the Transport section when you press Alt+K. Steinberg reckon that this feature was added "with mobile musicians in mind". You can shift octaves and change the velocity with the arrow keys, and use the two leftmost sliders to introduce pitchbend and modulation (also achievable by clicking with the mouse on a key in the display and dragging). Other apps such as Ableton Live and Logic/GarageBand have virtual keyboards too, but they're usually limited to not much more than an octave's worth of keys, and hence are quite frustrating for anyone who's ever used a tracker, where you get at least a full two octaves. While Cubase 5's is the same in default mode, pressing Tab engages a full two-octave mode, similar to the arrangement used in trackers. Nice! Many have grumbled in the past about Cubase's automation implementation, with some claiming that v4 actually took a step backwards in this area! Steinberg look to be getting things back on track with v5, though, and they've borrowed some features from the automation system of Cubase's high-end cousin Nuendo. There's also a new Trim mode for volume automation. This is designed to overcome such situations as when you've recorded or programmed some volume changes and then wished you could still automate the overall volume of a track (eg, to provide a gradual fadeout) without losing the volume curve you already created. 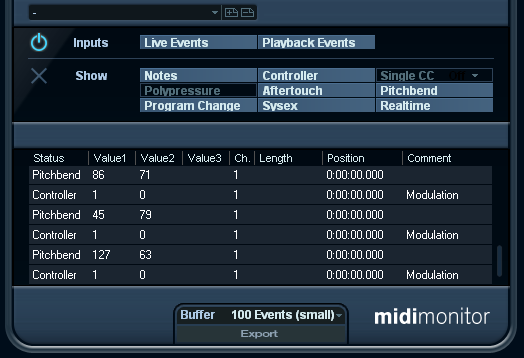 You can now do it by enabling the Trim mode - the relevant level fader(s) in the mixer change to a 'relative' mode, allowing one to offset the current curve by moving the fader as desired. In use, however, we found that this gave us some jagged 'spikes' in the automation curve - we'll be chasing the issue up with Steinberg as soon as possible. VST Expression: it's not just for orchestral sounds! The all-new VST Expression system makes it a lot easier to specify articulations when working with complex instruments that offer a range of playing styles, eg, sampled emulations of real instruments. Prior to VST Expression, one would typically have to draw in extra MIDI notes to switch between these articulations, but when now there's a dedicated lane allowing one to simply select, for each note, which articulation should be used. You do need a so-called Expression Map defined for all this to work, but Steinberg have supplied numerous Track Presets that work with their own Halion-based sounds, and support from third-party companies such as Vienna and Garritan is said to be forthcoming. Bring it on, we say! The Export Audio Mixdown dialog has been spruced up for Cubase 5, and now sports an extra section enabling one to select which channel - or indeed, channels - to export. As you can see in our screenshot, any and all channels are fair game. 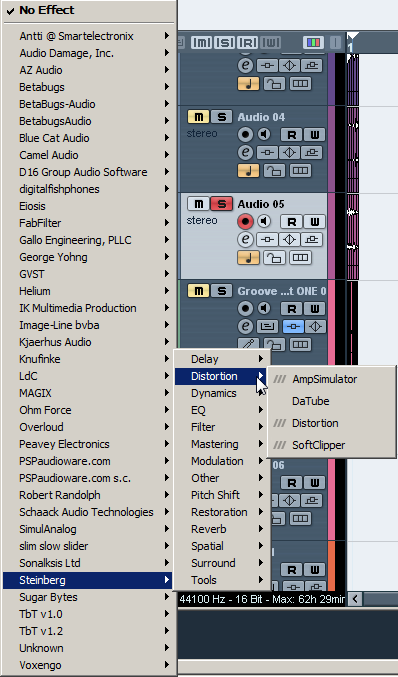 This is most useful for transferring projects to other DAWs, or for archiving purposes. Another nifty workflow enhancement here: you can now dissolve MIDI clips into their component channels, or separate them into a clip per note. 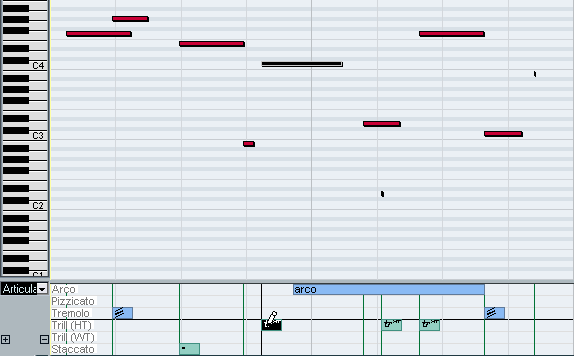 Here, we've dissolved a MIDI drum part and have been rewarded with a MIDI clip for each drum, handily stacked in lanes. of notes, but it seems like a handy addition nevertheless. (the synth in this example is a HalionOne preset). So, is Cubase 5 actually any good? How well do the new features work in practice? Are there any drawbacks or downsides that you need to be aware of? It's too early for us to say right now, so you'll have to hang on for the Computer Music review to find out for sure! Computer Music 137, April issue, is on sale 11th March. 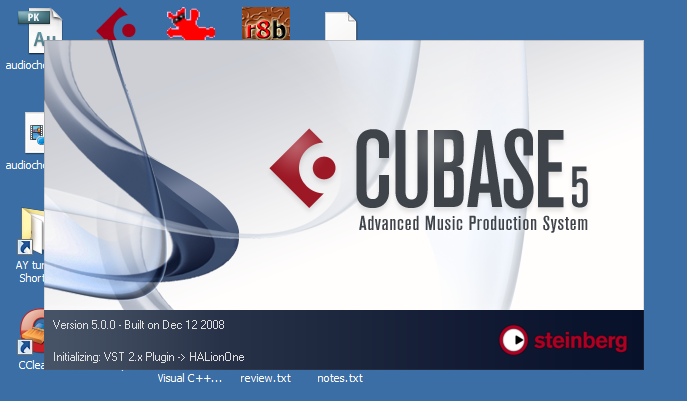 for further information on Cubase 5.